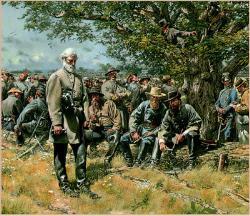 Early on the morning of July 1st Gen.Henry Heth started his division from around Cashtown to Gettysburg to find a much needed supply of shoes. 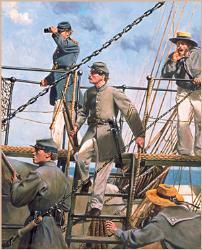 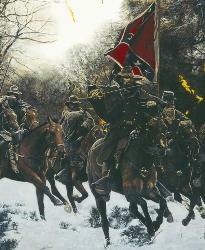 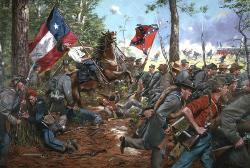 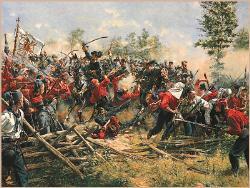 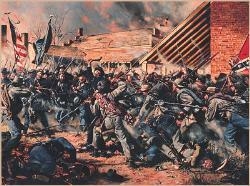 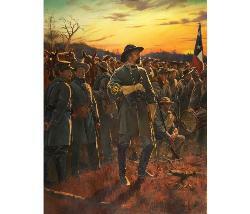 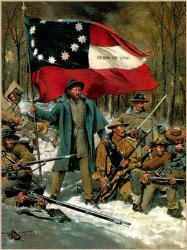 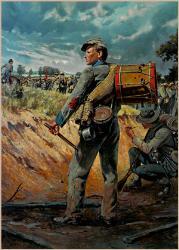 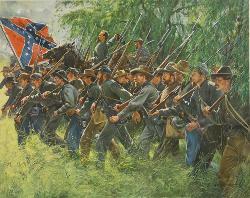 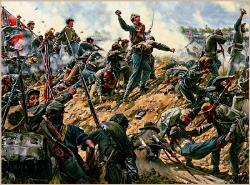 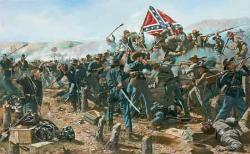 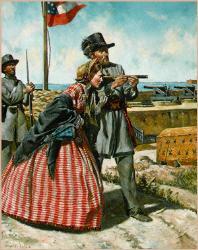 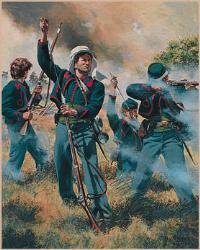 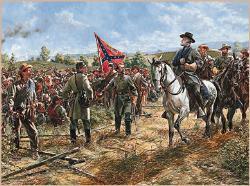 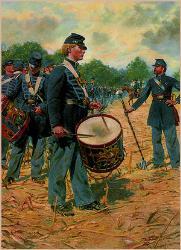 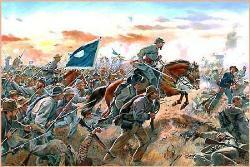 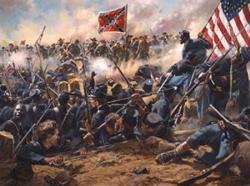 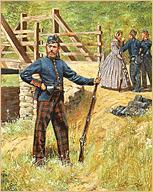 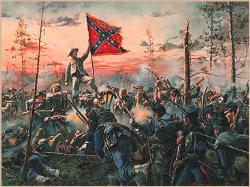 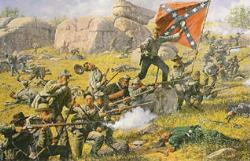 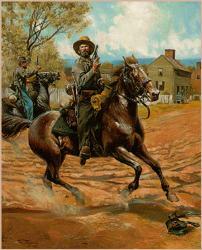 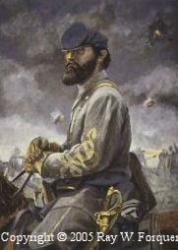 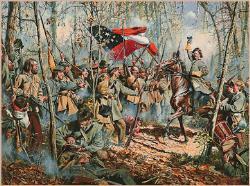 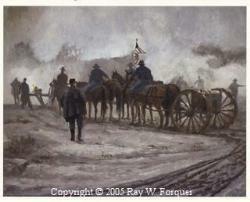 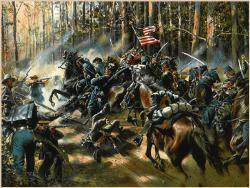 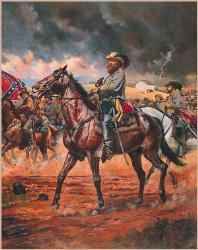 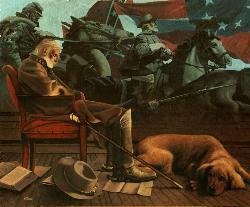 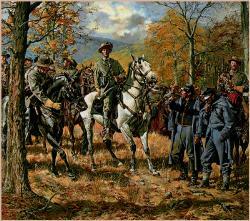 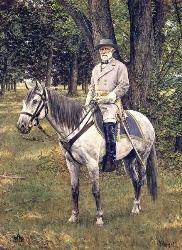 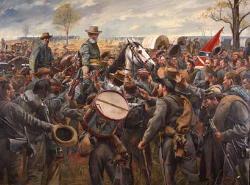 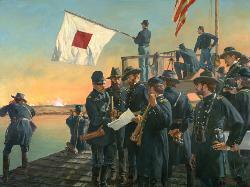 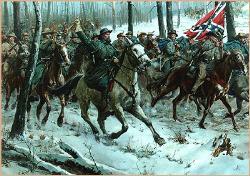 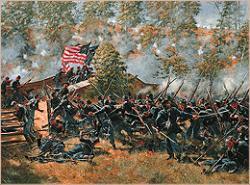 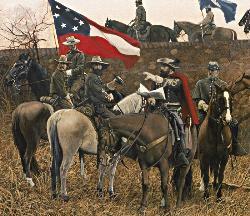 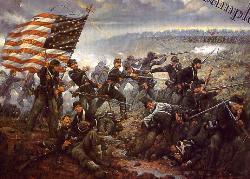 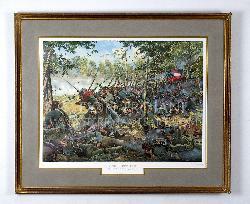 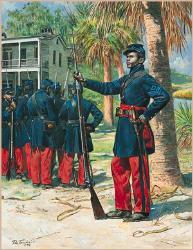 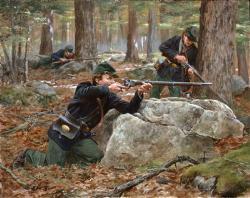 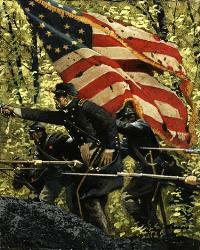 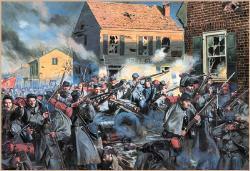 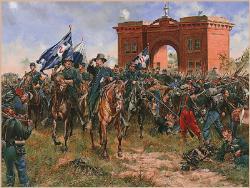 The battle-hardened brigade of Gen. James J.Archer's Tenn. & Alabama troops would lead the way. 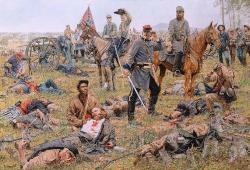 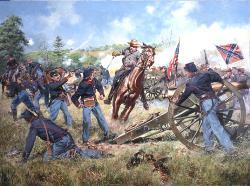 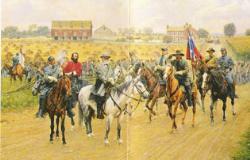 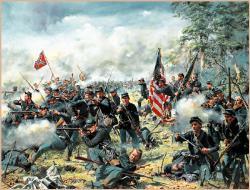 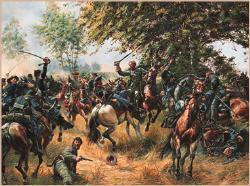 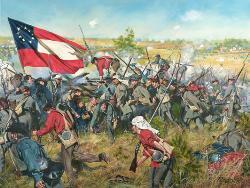 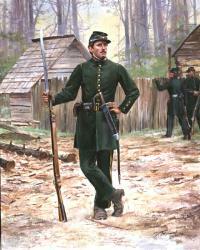 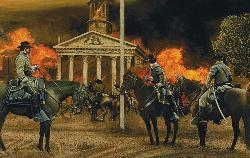 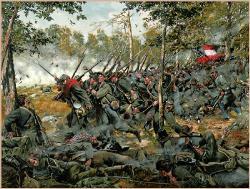 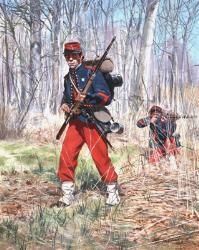 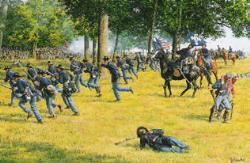 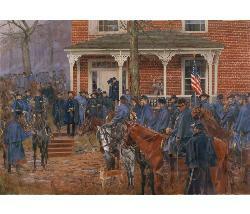 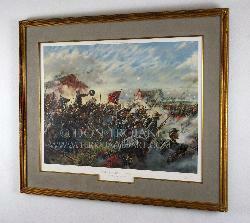 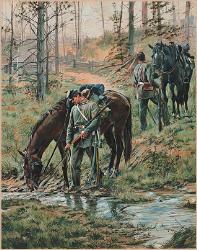 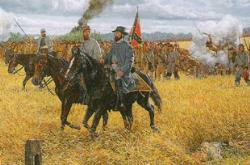 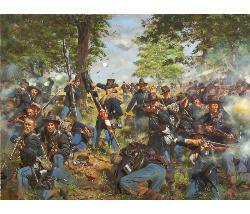 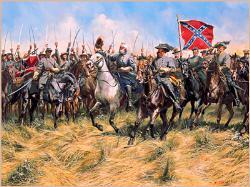 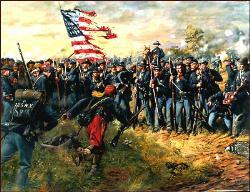 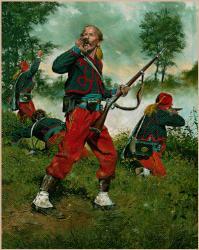 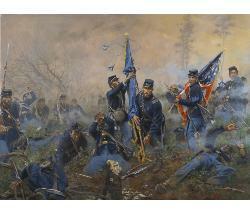 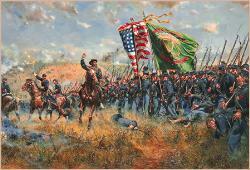 After marching about three miles Archer's column discovered Federal cavalry in a field off to their right front. 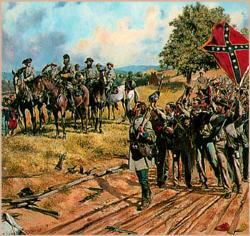 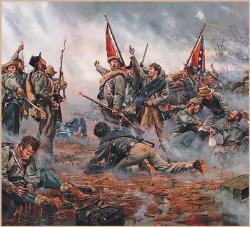 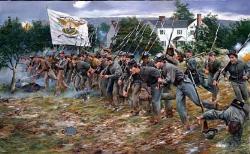 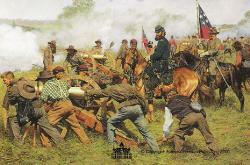 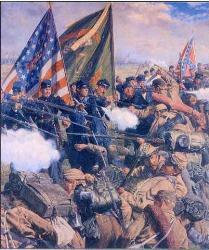 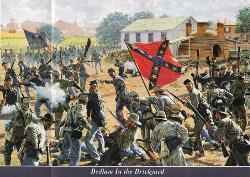 The 5th Alabama Battalion marching at the front of the brigade, and two companies of the 13th Alabama were ordered out to form a skirmish line. 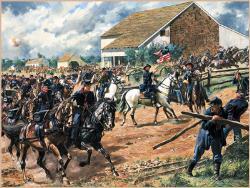 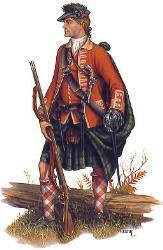 Archer's brigade, marching in columns of four halted to the right of the road, faced left into the line of battle, and were ordered to load. 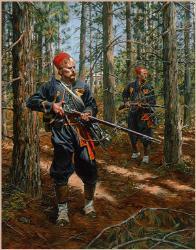 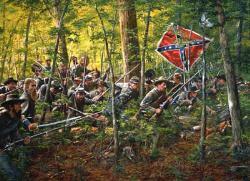 Deployed from left to right were the 7th, 14th & 1st Tennessee, and the 13th Ala. After a desperate fight against the famed black-hatted Iron Brigade, the 1st found themselves outflanked & were compelled to fall back across a ravine. 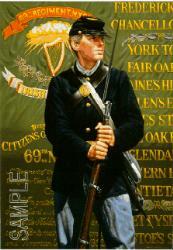 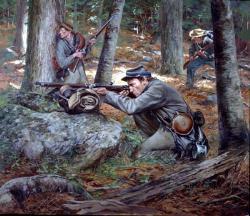 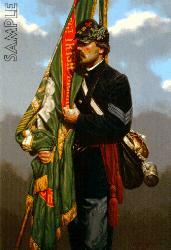 William Murray of the 19th Indiana reported "The Tennessee color bearer broke through the lines and run up a slope, then turned and shook the flag at our troops and disappeared from sight." 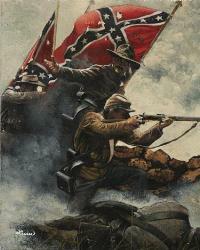 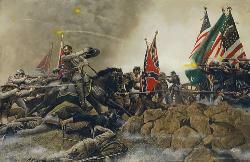 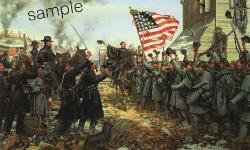 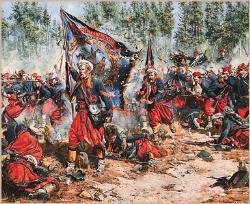 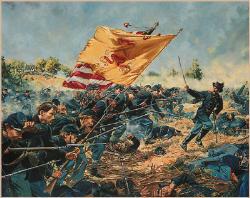 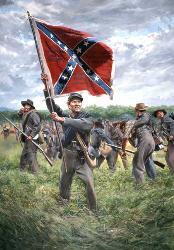 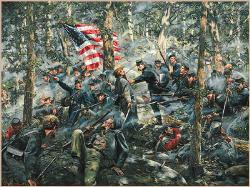 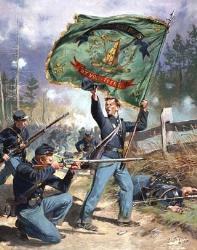 Here Don Troiani shows the brave color bearer, Wiley Woods of Co. F, defiantly waving the regimental standard in the face of the foe to show although forced back,they're far from being conquered! 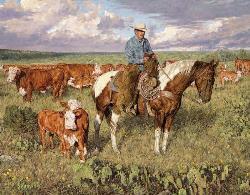 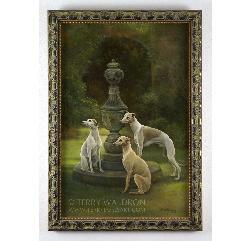 Overall Size: 25" x 32" Image: approx. 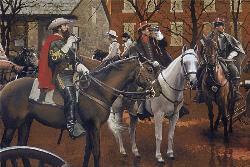 19"x28"